The beauty of Louis Armstrong’s music was that it could be enjoyed and appreciated by everyone from children to adults and seasoned jazz fans to hardened critics. Pity then that “Pops,” the new Armstrong biography by Wall Street Journal critic and former Kansas City resident Terry Teachout, isn’t as accessible. Teachout is an exhaustive researcher who leaves few stones unturned. His biography draws not only from the two autobiographies published during Armstrong’s life, but dozens of books, articles, reviews and liner notes. It also boasts access to scores of previously unseen letters and hours of unheard conversations Armstrong recorded. This unprecedented access allows Teachout to paint an intimate view of Armstrong. He paints a frank view of Armstrong’s daily marijuana use, which led to his 1931 arrest in California. We learn about the murder threats Satchmo received from the Chicago mafia for. When former boxing promoter Joe Glaser promised to make the threats stop, Armstrong rewarded him with a lifetime appointment as his manager. With Glaser taking care of everything else, Armstrong was free to focus on the only thing that matter to him: music. Ironically, Armstrong’s music was most vital when his life was in the most upheaval. When he cut his classic Hot Fives and Hot Sevens sides, he was in the middle of a failing marriage, having trouble keeping a steady band together, and running ragged across the country to poorly organized shows. Most of those problems went away when Glaser came on the scene, but Armstrong’s music also reached a plateau. 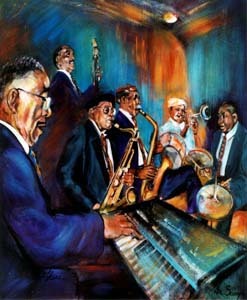 While the current crop of trumpet stars were heavily and obviously indebted to Armstrong’s trailblazing technique, they were also disappointed by Armstrong’s repetitive repertoire and unashamed desire to entertain (which hewed too close to minstrelsy for the newly empowered African American generation). 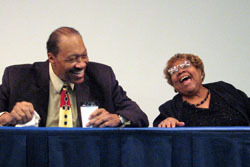 Dizzy Gillespie and Miles Davis were among the most vocal of Armstrong’s critics. Yet even Diz and Miles were forced to reconsider their opinions after Armstrong cancelled a State Department-sponsored trip to Russia in protest President Eisenhower’s tepid steps to integrate Central High School in Little Rock, Ark. (Armstrong later sent Eisenhower a congratulatory telegram when the crisis was resolved.) 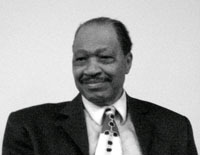 Armstrong gained with respect with the trio of albums he released on Columbia in the 1950s that showcased a long-dormant vitality and sense of adventure. Detractors may have been surprised when Armstrong spoke out on segregation, but he’d been fighting it most of his life. The color line is drawn most sharply when Teachout looks at what might have been were Satchmo’s skin lighter by comparing his career with his friend Bing Crosby’s. While Crosby was given his own radio show and starring roles in Hollywood films, Armstrong had to settle for guest appearances on the air and supporting roles in low-budget films. 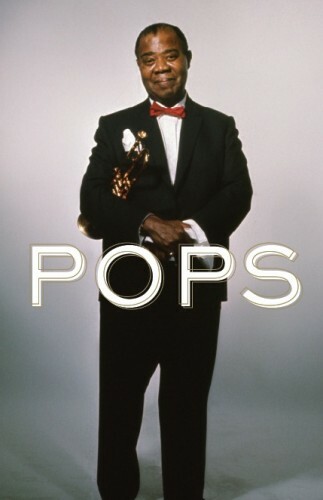 “Pops” revels in the details of Satchmo’s glory days, but it doesn’t skimp on the leaner parts of his career. The last quarter of Armstrong’s life receive nearly 100 pages. These chapters document Satchmo’s renaissance as not only a premier jazz talent, but showman whose love knew no age or national boundaries. Stories of “Hello Dolly” knocking the Beatles off the top of the chart or recording “(What A) Wonderful World” do not feel like curtain calls, but the natural continuation of a career. Teachout’s findings are fascinating, but impenetrable at first. It takes several chapters to comfortably negotiate Teachout’s style. His habit of identifying sources in the text instead of footnotes makes for a clunky read. Sometimes the sourcing overwhelms the content. However, after becoming accustomed to Teachout’s style, “Pops” is a pleasant and illuminating read.